I was able to finish another couple of drawstrings so that’s a bit used this week. I didn’t take a picture. Yesterday, I was in the middle of quilting Missing Ivy when the machine decided it needed a time out. I forgot to take a picture of it on the frame. I had just finished up one bobbin and put in a new one when it just stopped. And we couldn’t get it to work. So my quilt is at the shop waiting for Monday when the service guy will be in to take a look at the machine. 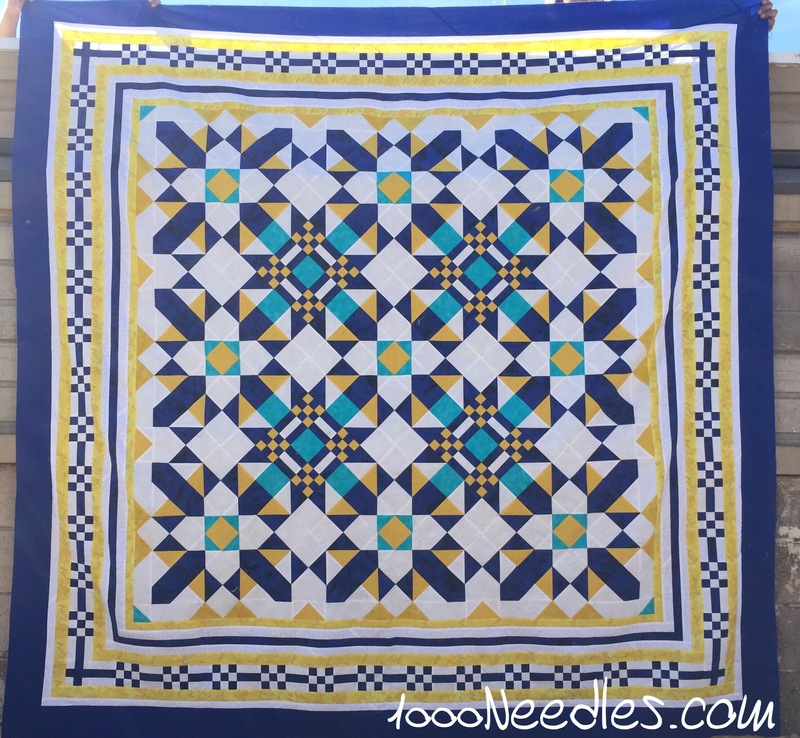 Hopefully I’ll be able to come in next Saturday to finish up the quilting. And finally, I made a zipper pouch. I started making two but the other one had a bit of a mishap so I’m left with one. 🙂 I love it. I did learn a few things that I would do differently the next time around. First, I want the stitched edges by the zipper to be a bit more defined. I was using Aurifil 50w and it’s too fine for what I want it to look like. 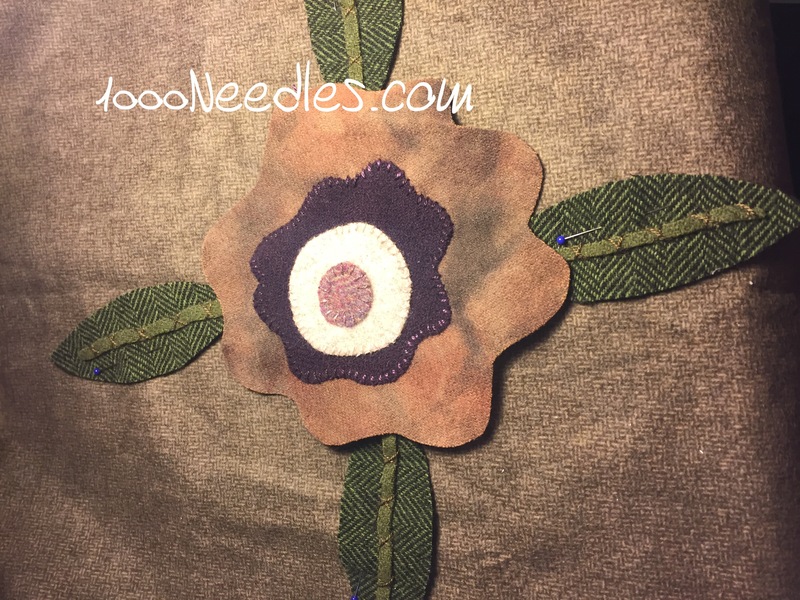 I tried Aurifil 40w and it still didn’t produce the look I wanted. I am planning on trying different stitches on my machine to see if one of them will give me the look I want. Second, I want the little handle to be more centered on that top part. And third, the interfacing I used is a little too thick to my liking. I’ll use it until I run out as it’s what I’ve got but when I run out I’ll be searching for something thinner for these pouches. The fabric was from my stash and was something the girl had me buy a long time ago somewhere. I don’t know where and I don’t know when. But I’m happy to be using my stash! I’ve been supporting the knitting industry this year. First, I’ve been buying different tools to see which needles I like the best. I think I’ve settled on HiyaHiya sharps as DPNs and the fixed circulars. I love how smooth the yarn works through them and the sharpness of the metal tips. I still use my bamboo DPNs when I need the yarn to have some grip on the needles. I also still use my interchangeables from KnitPicks. But spending money for the right tools is important. It has prevented a lot of the hand, wrist and arm ache I get when I knit a lot. Of course, I still have some pain when I don’t listen to my body and keep knitting instead of taking breaks. But in addition to that, I’ve been buying yarn. That will have to stop soon as I’ve got no space for it and I cannot possibly knit all I’ve got this year. 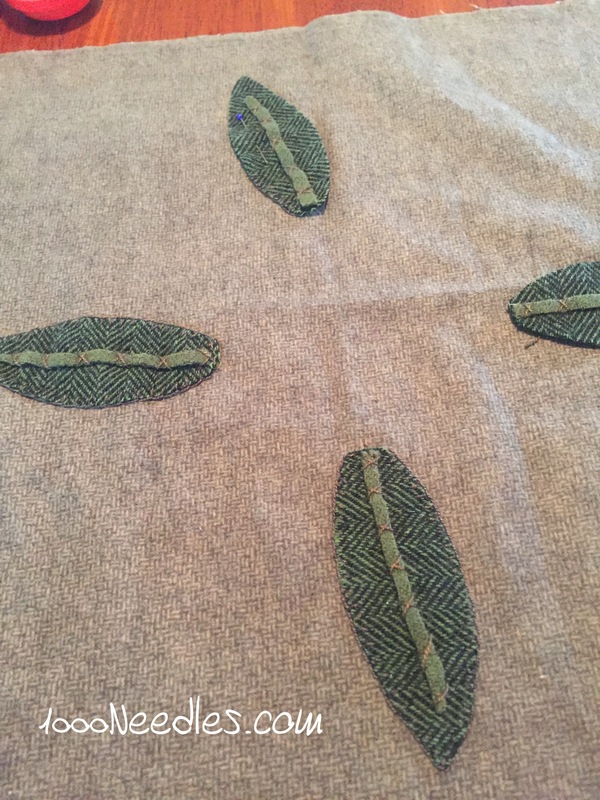 Two of those leaves are appliqued down. I’ve got 2 more left and I hope to get those finished next Sunday. 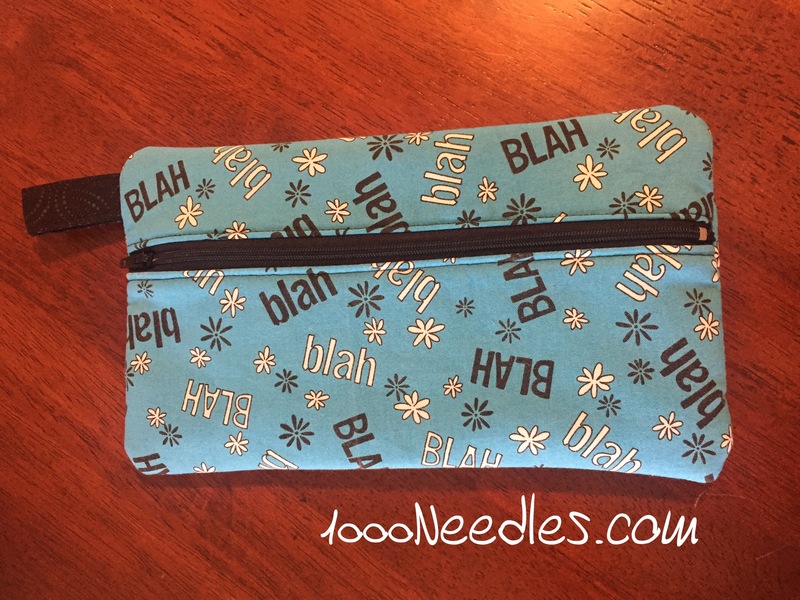 I love that blah, blah, blah fabric… I have some in 2 other colourways. Hope you enjoyed your stitching on block #7!